Well, the summer is coming to an end! This summer has been great with so much to do all over our city and county. Did you travel to get in some more sights and sounds of the summer? We hope all our Eastwood Eagles have had a safe and enjoyable time. We want to remind all our Summer Readers to leave comments here about the reading they did this summer! Keeping up with reading is so important for a jump start at Eastwood in September! 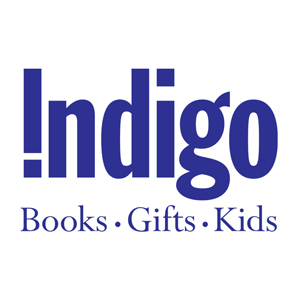 Did you remember to go to Indigo Lakeshore and pick up your free book to get you started? If not you only have two weeks left! Let us know what you picked out and any connections you made while reading it! Summer Reading Program has a WebLog! This is Mr. Cowper sending you all a message hoping you are having a safe and fun summer break! The reason you are getting this message is because you signed up to take part in our first ever summer reading program! I am very excited to send you this message! I have been reading with my own children everyday this summer (usually before bedtime!). We have a place for you all to comment on your summer of reading, playing, learning, relaxing and basically anything that you have been doing this summer break! We want to know what activities you have been doing! We want to know what book you picked out at Indigo! We want to know what you have been reading! Please stop by the blog and leave a comment or write an article to be posted on the blog. I so look forward to hearing about your summer events! Be safe, continue having fun and enjoy our great city this summer!